I’ve been messing with the back box on the KP and am seriously on the lookout for a new one. The up-sweep looks OK, but it burns soot all up the back of the car; not cool. 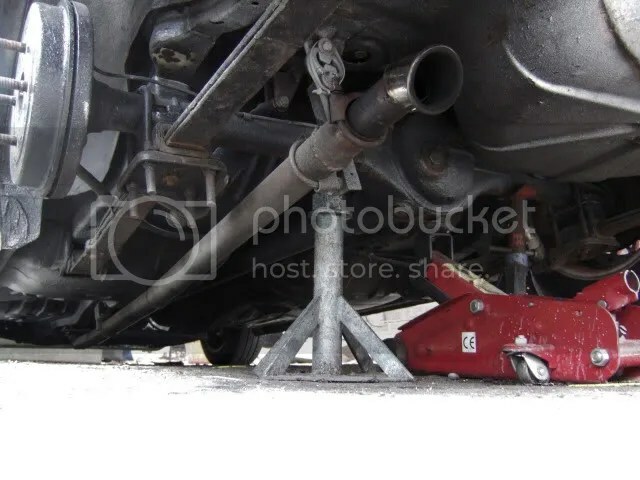 I had some pipe knocking about so welded on an old bike can down sweep and ran this set up exiting under the car! Yep, no silencers, boxes or so much as a bung. This is as close to open headers as I can go without, erm, running open headers! It sounds pretty horrible at low revs, just moving the car and stuff, but on over-run and between 4 and 7000rpm it sounds amazing! This has lead me to the conclusion that if I do get a new silencer, It doesn’t need to be very big!